Paul Rand, paraphrasing Ludwig Mies van der Rohe, once said, “Don’t try to be original, just try to be good.” These words have stuck with me for a long time. 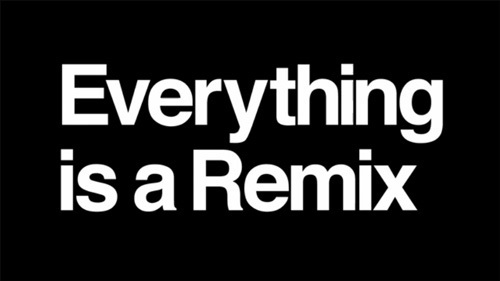 The quote came roaring back into my brain after viewing the first three parts of an amazing series of videos called Everything is A Remix. The overall thesis of the series is that masterpieces rarely come from nothing. Instead, they come from ideas that were already there, and are the result of combining those ideas in new and interesting ways. As a young designer my goal was always to try and stand out. I wanted to do work that was often more conceptual than functional. I tried to be original. As I gain years in this profession of mine, I am finding that I would rather be good. The path, therefore, is to build off of what is already around me. I need to remix.